Fuhrmann Auditorium is a 15,762-square-foot venue inside the Greater Covington Center. It includes a stage, a baby grand piano, dressing rooms, professional theatrical lighting, a 32-channel light board and Bose 32-channel sound system with mixer. The auditorium has a 450-seat capacity and has hosted numerous live performances and community meetings. The theater is acoustically balanced and is centrally located within the complex with multiple entrances from the foyer. The large lobby is ideal for ticket sales, intermission and trade shows. The backstage has a large green room complete with dressing area, restrooms and a staging area. 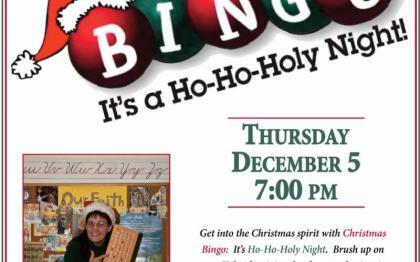 OnSTAGE at the Fuhrmann: Christmas Bingo - It&apos;s a Ho-Ho-Holy Night!